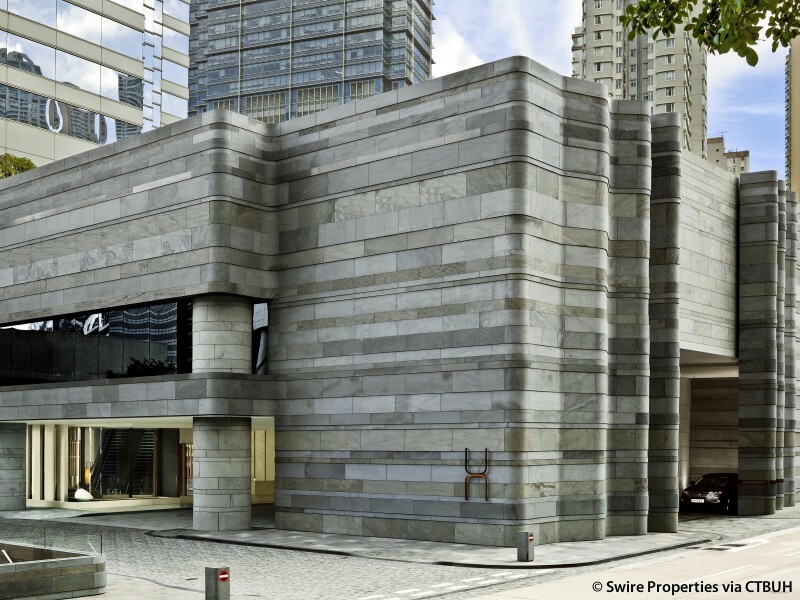 Constructed at the base of a hill sloping upward from Victoria Harbour, the Pacific Place Complex sits adjacent to Hong Kong Park, both of which were constructed on the site of the Victoria Barracks operated by the British Military. 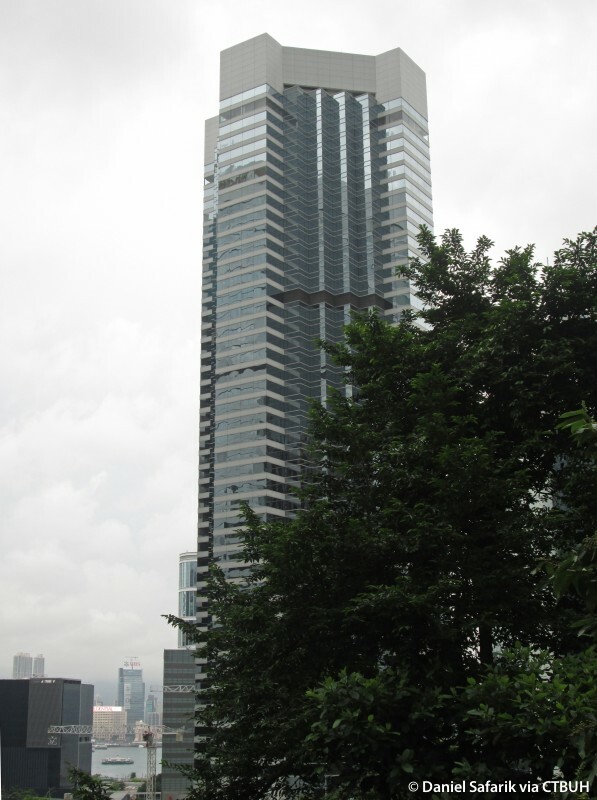 While the western portion of the barracks became public a green space interspersed with a collection of preserved low-rise structures from Hong Kong’s colonial era, the eastern portion gave way to the Pacific Place development. 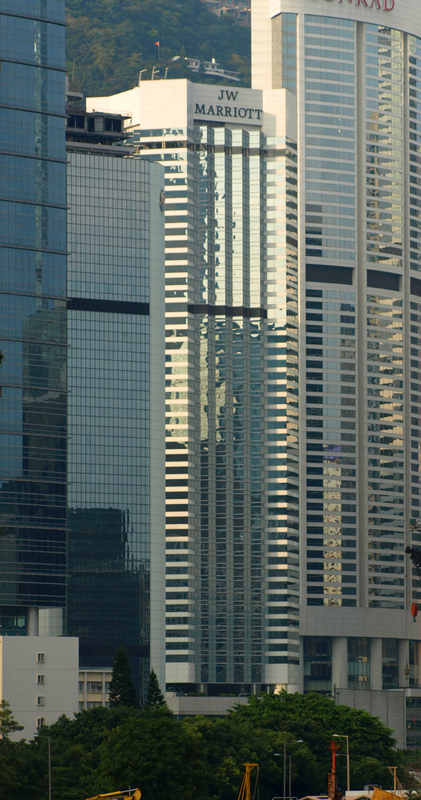 After the land was transferred from the Government of Hong Kong in the mid 1980’s, construction began quickly with Phase 1 opening in 1988. 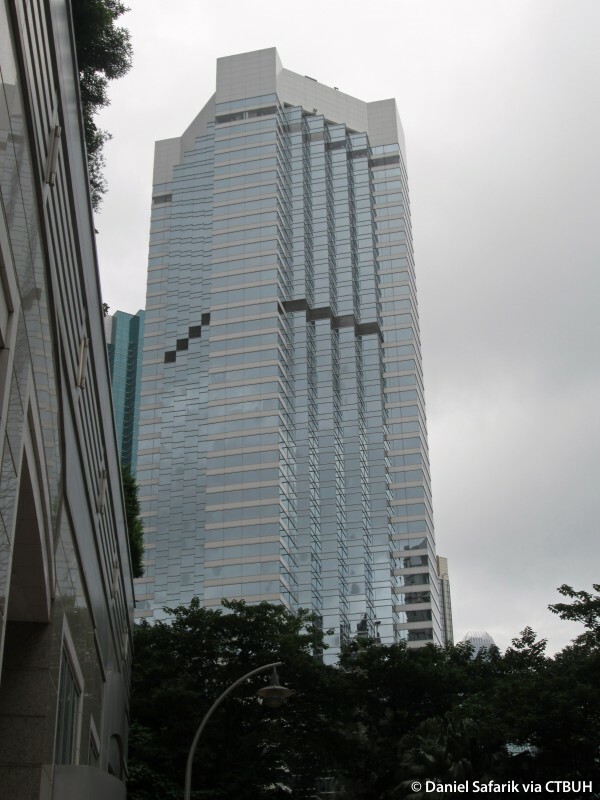 Phase 1 included One Pacific Place as the as the J.W. 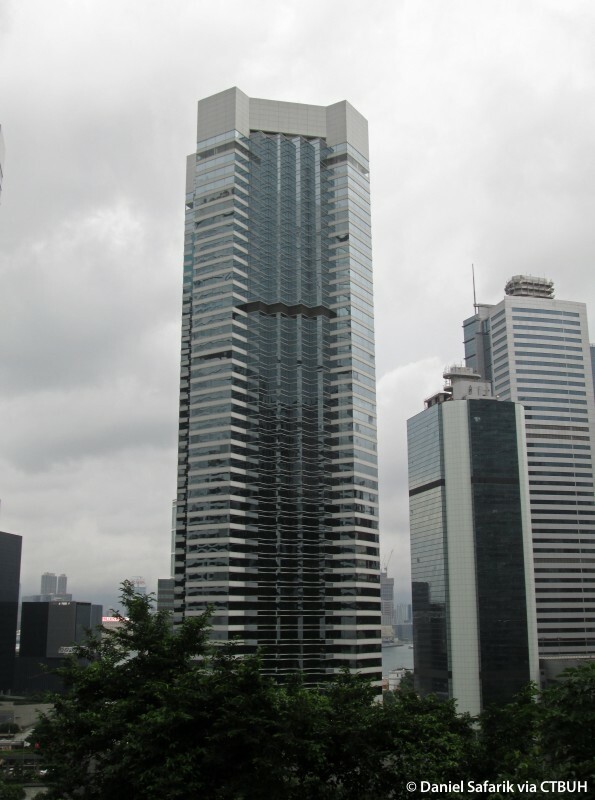 Marriott and The Upper House which was originally constructed as a mixed use residential and hotel tower with 140 serviced apartments above 607 hotel rooms. As part of a later interior retrofit, the uppermost floors were converted from residential into the suites of the 117 key Upper House Hotel which opened in 2009. 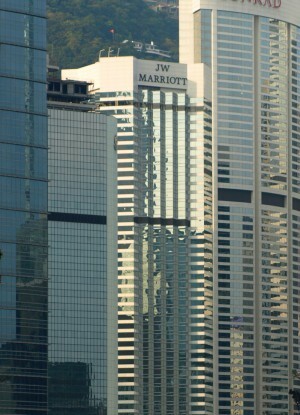 Combined with the JW Marriott hotel below, there are presently 719 rooms as well as a handful of restaurants spread throughout the tower. 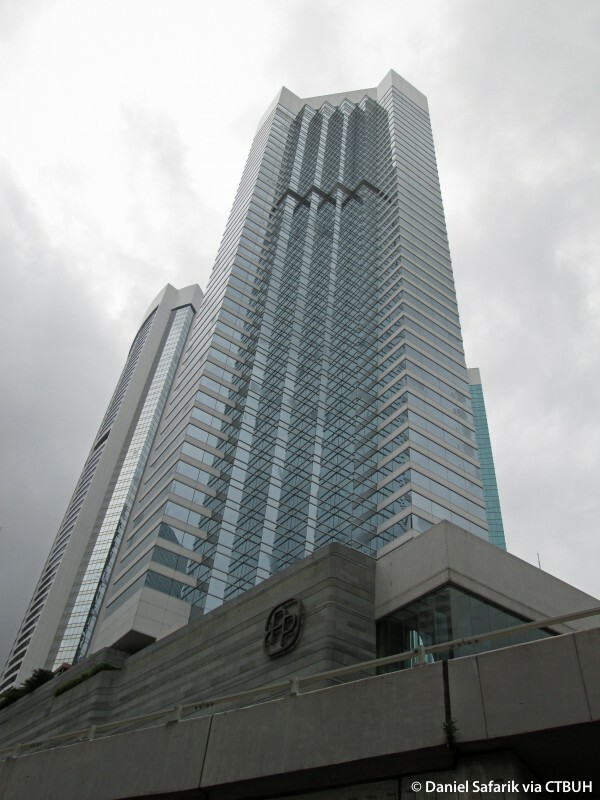 The tower is perched on a hillside podium comprised of the three story Pacific Place shopping mall and a landscaped rooftop serving a courtyard between the towers of the complex as well as the publicly accessible street linking the main entrances of each building. The J.W. Marriott and The Upper House features a glass façade composed of triangular window bays maximizing views of the surrounding harbour, hilltops and skyline which has grown up around it since completion.